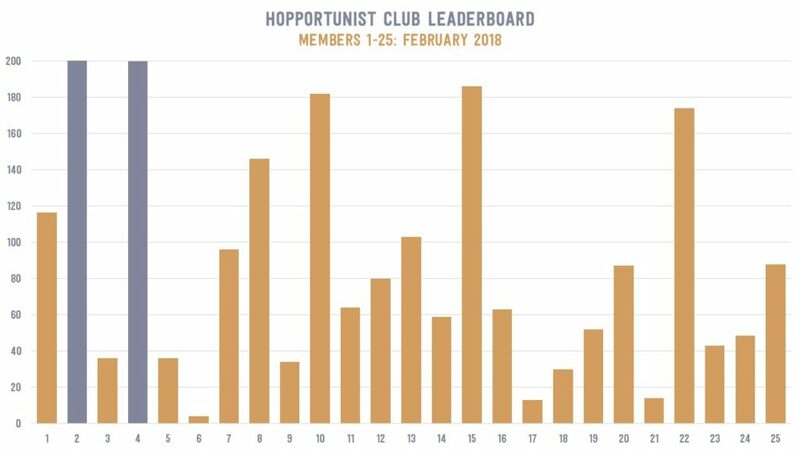 The shortest month of the year did not keep member #4 from reaching his personal beer goals and becoming the tenth member to join the 200-beers-consumed club. Twenty-two beers in 28 days is quite an accomplishment! Check out the leaderboard charts below for the full results through February, 2018. 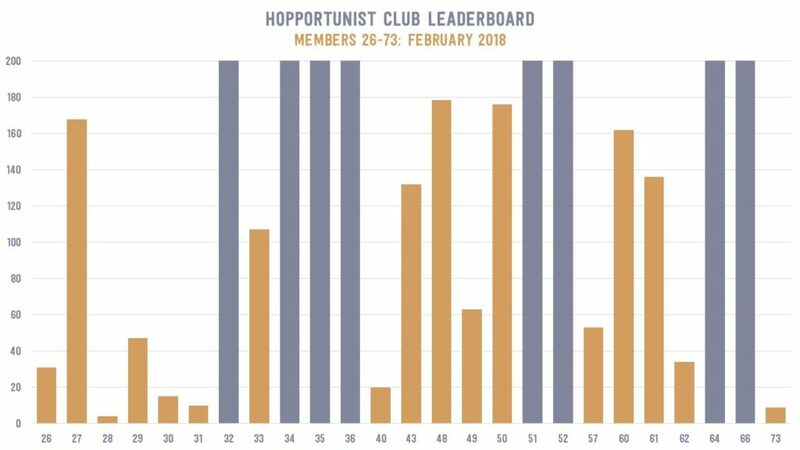 With January’s end, members have now saved an average of over $115 — that’s more than the membership fee to become a Hopportunist! For the data geeks among you, click the embedded workbook to interact with the savings data and see all of the beers you have imbibed in thus far.